Discreet investigation is undertaken in connection with kidnapping of children/adults to ascertain the motive of the kidnappers, to find out the possible hideouts of the kidnappers and their victims, demand of ransoms if any etc. We bring forth Executive Kidnapping Investigation Service with the help of our exclusively trained crisis management team that is experienced enough to tackle these emergency situations. Business interruptions, extortions, executive kidnapping, and various other emergency crises are handled by our efficient team quickly and effectively. This is a relatively new area of crime that is causing a grave concern to one and all at all levels of our society. One of our wings is specially trained to give advance solutions to the person/persons under threat. We at PTSS are inventing better ways to thwart the efforts of kidnappers and make it a point to stay ahead of such elements. We will get you the master plan used, the kidnapper & your loved one. Kidnap and Extortion are unpleasant facts of life in todays global business environment. It is estimated that between 2002-2005 over 36, 000 kidnappings were reported worldwide. Under this category, G.D.O. investigators put efforts to trace the missing person as fast as possible from the remote place on the strength of their expertise and special forte. Real Eye is one of the leading and reputable detective companies in Hyderabad and other cities within India. We have our own criteria to analysis a certain case based on the inputs provided by the clients. 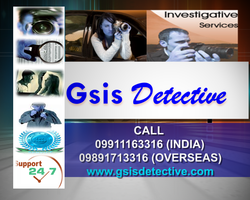 Property Guards has conducted several investigations of missing persons, abduction, kidnapping or run away fugitives in India and the Middle East. Traffic, Kidnapping and Murder case Attorneys, Lawyers and Advocates of our Law Firm had played a key role in handling several Traffic, Kidnapping and Murder cases in Coimbatore, Chennai, Tirupur, Erode and other parts of Tamil Nadu.